Today we are excited to announce the availability of the groundbreaking Fusion-Tech UV Black Piping by aquatechnik NA! As the first fusible polypropylene pipe solution with UV protection, workers can save hundreds of hours in labor and dramatically ease installation when working with outdoor fusion pipe and don’t need to worry about painting the pipe to improve its UV protection. Designed for long term durability, Fusion-Technick UV Black Piping utilizes the highest quality polypropylene and it is the only industrial strength pipe of its kind. The unique Fusion-Tech UV stabilizer has been rigorously tested to ensure what is perhaps the finest UV resistance currently available on the market while also being resistant to cement, plaster, and electrochemical reactions. Besides significantly improving outdoor installation, it also allows for welding or fusing without having to treat the pipe or the fittings. Use it to transport hot or cold potable or non-potable fluids, in industrial applications, there is nothing quite like it currently available on the market! 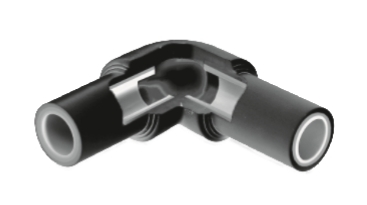 For more information on Fusion-Tech UV Black Piping, please visit the MIMECO product page or give us a call. Miami International Machinery & Equipment Corporation (MIMECO) specializes in industrial equipment and machinery supply. We have more than two decades providing professional solutions in The Guianas, the Caribbean, and Suriname, supplying brands like Performance Pipe, McElroy, Carboline, and more. With our years of experience working as exporters and purchasing agents, we look forward to supplying your company with robust, quality products and solutions at the best prices. Call 305-570-3831 for additional information on our product selection or industrial products online.